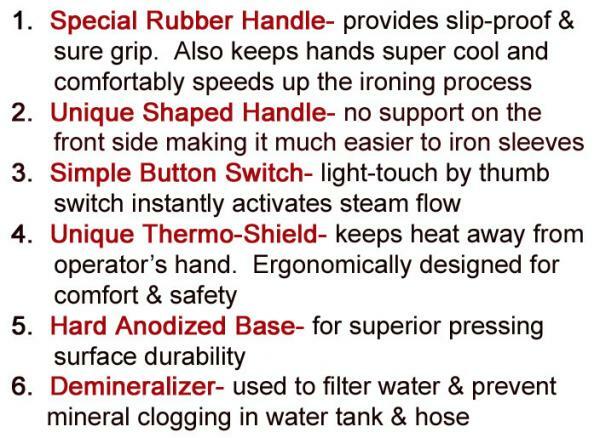 Professional, 120V, 1000W, Water Bottle, Demineralizer, Iron Rest, Teflon Shoe, Recessed Thumb Switch for Steam that cannot get knocked loose like earlier models. 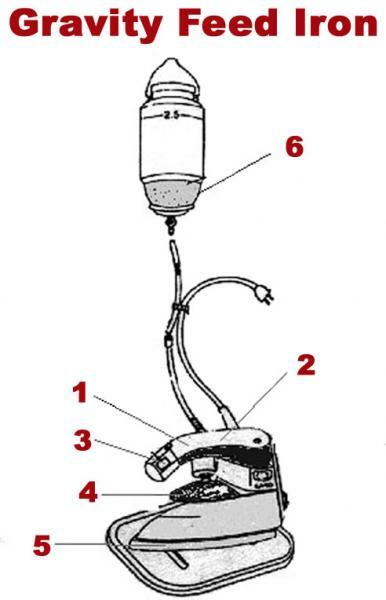 Heat Shield for your hands keeps them cooler than with earlier models without any barrrier. 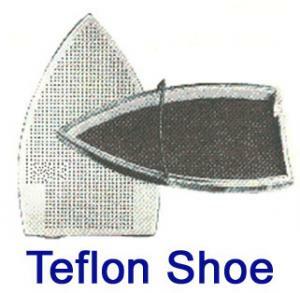 I would like to know if you have a iron that has more steam holes on the bottom sole plate. LOVE YOU GUYS! 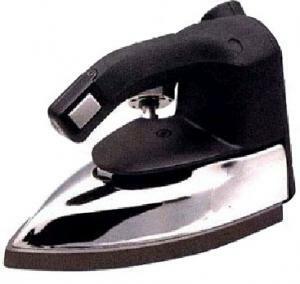 This is my second gravity feed steam iron I bought from you. Also have bought the Amazing Box for emboirdery and an ironing press! Thanks! I have been ordering from Allbrands since the late 80's and always appreciate their prices and quick shipment.